Discover the many unique and independent shops, coffee shops, bars and restaurants which line the streets of the traditional Tamworth Town Centre. The town is home to well-known high street names, sitting alongside some amazing individual shops that make Tamworth unique. 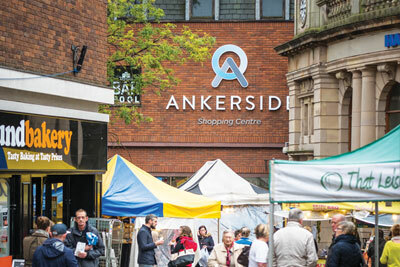 Overlooking the Castle Grounds and set in the heart of the town centre, Ankerside Shopping Centre has more than 60 shops and over 600 parking spaces (Shopmobility and disabled parking - level five). More information about parking in the town centre is available on our parking page. 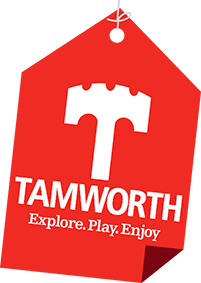 There are also numerous places to eat and drink in Tamworth. Visit our restaurant page for more. 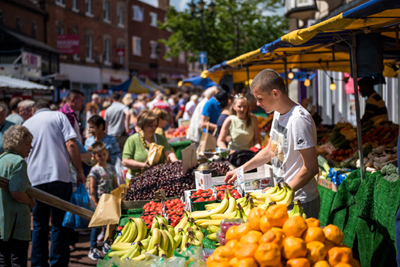 A busy and vibrant market is held every Tuesday, Friday and Saturday from 8.30am to 4.30pm. There are around 100 stalls selling a wide range of products including fresh produce, household items and clothes. The operation of the market is run by LSD Promotions Ltd.
To enquire about a stall or for further information please check the LSD Tamworth Market website.